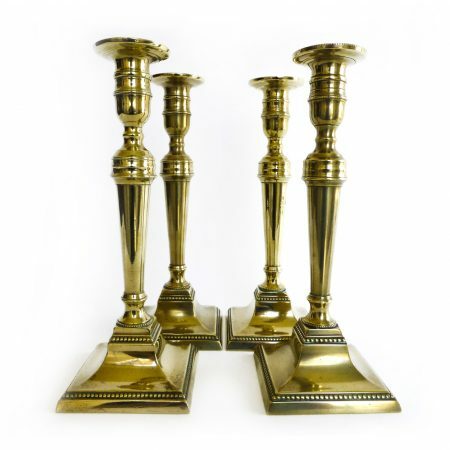 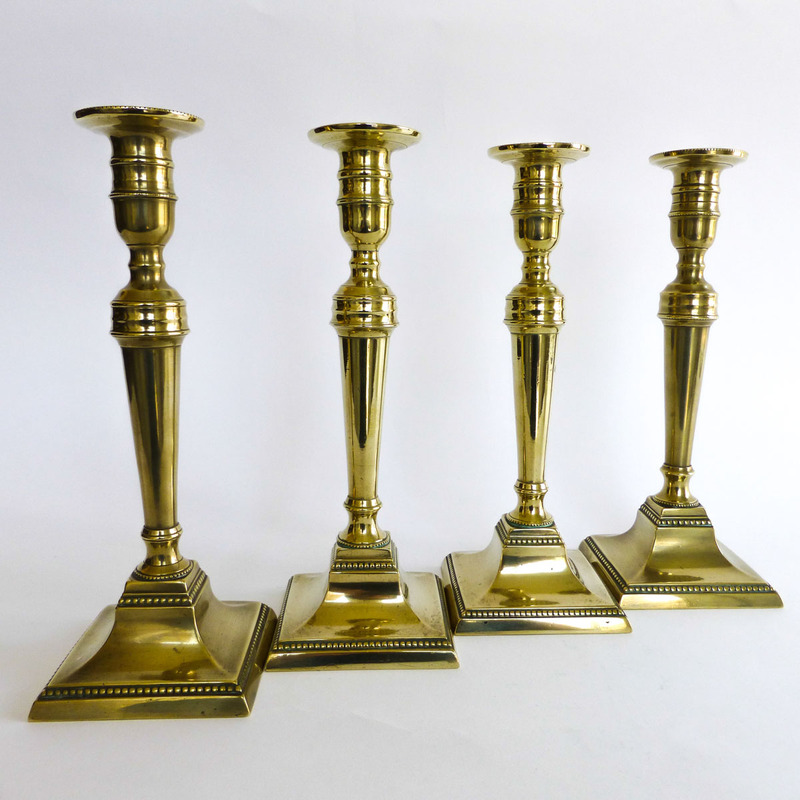 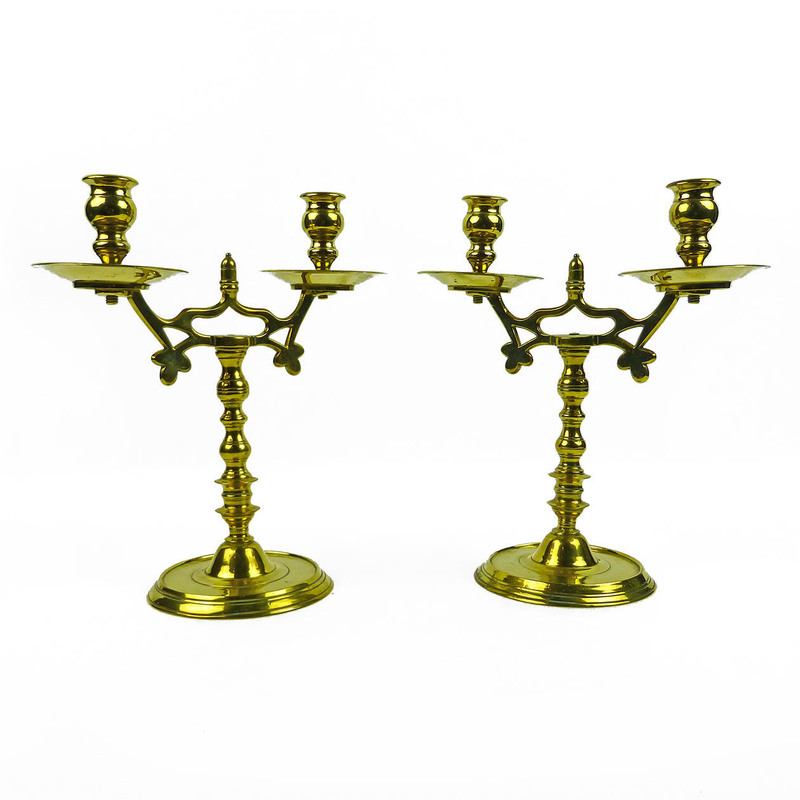 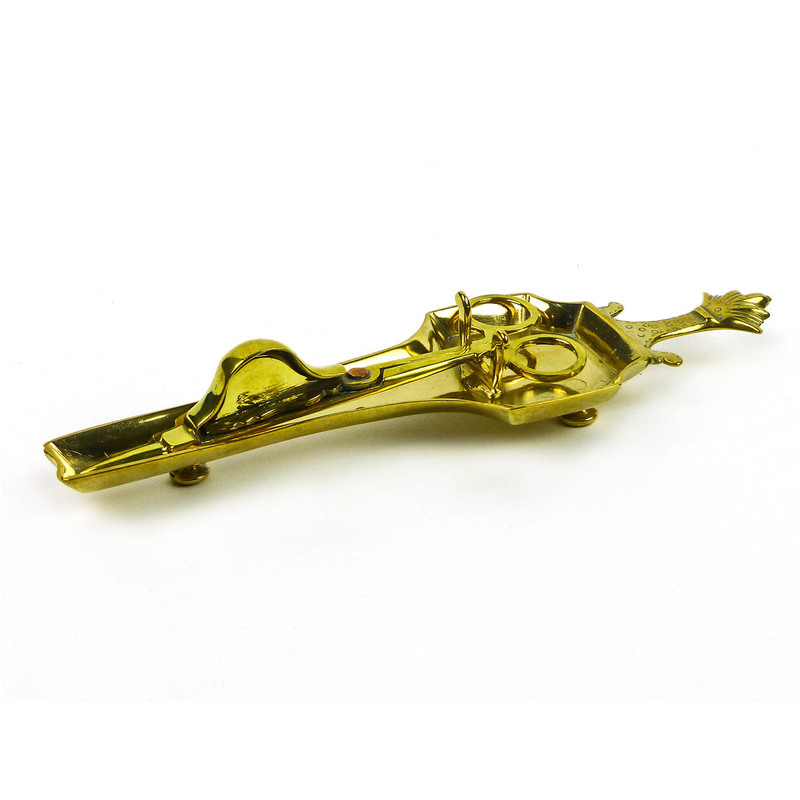 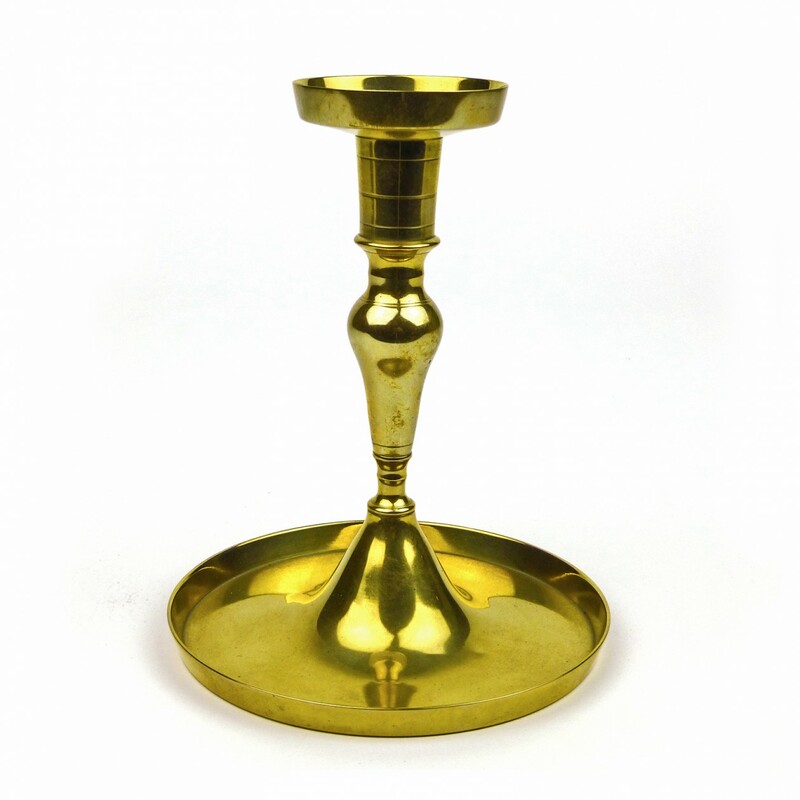 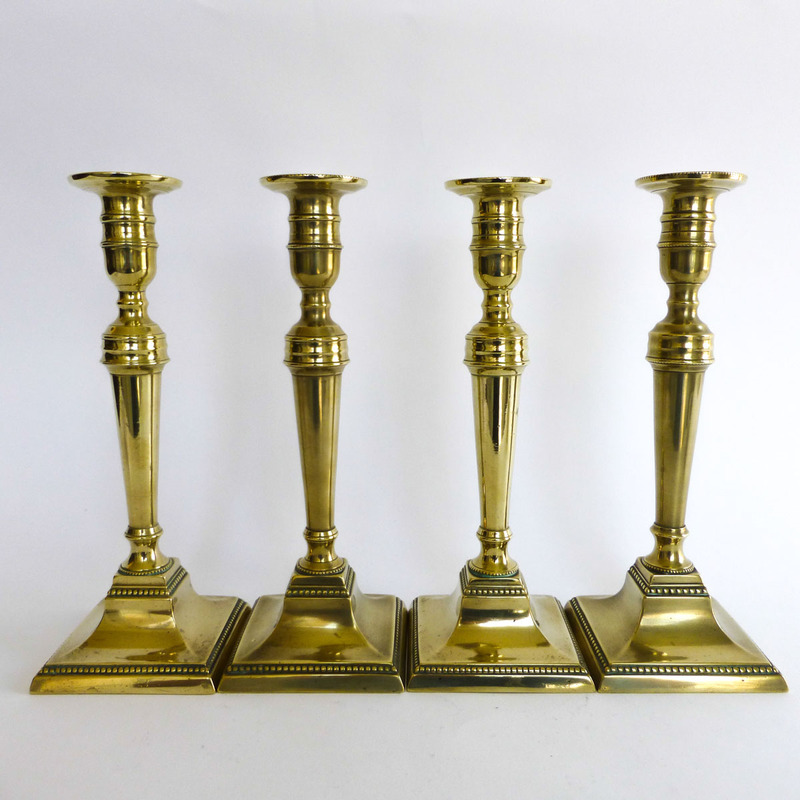 A Rare Set of Four English Brass Candlesticks with Beaded Decoration. 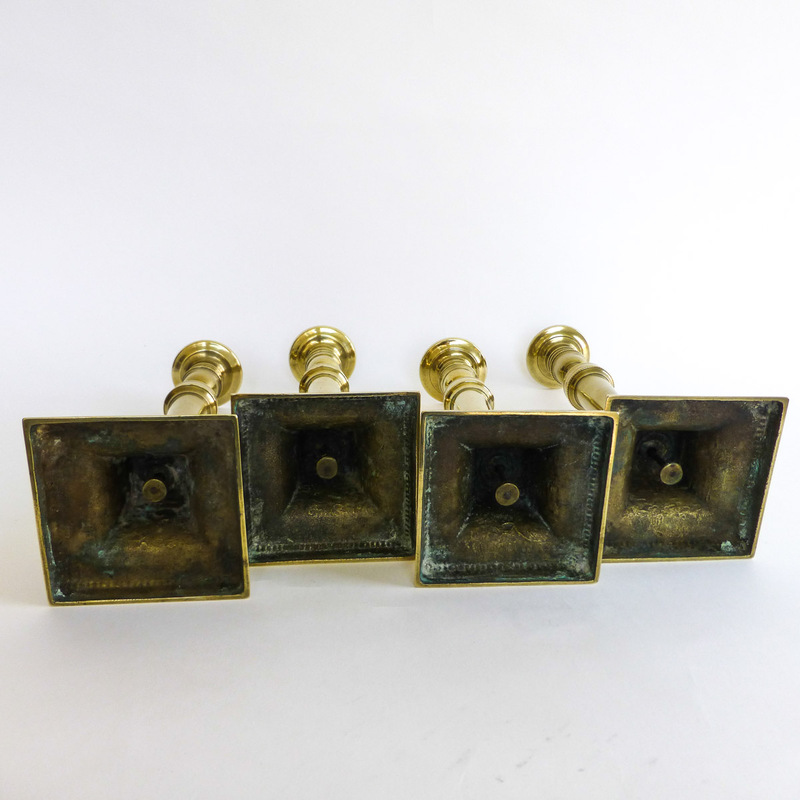 Original Push Ups. Circa 1785.